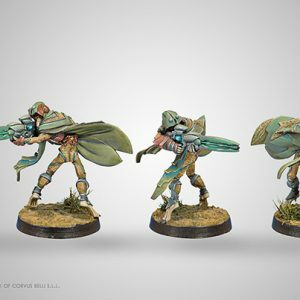 The Zerat is one of the Morat female regiments. Of course, if there is a military discipline in which Morats don’t stand out, it is in discretion. Nevertheless, by character, genetics, or by a simple matter of survival, female Morats have stronger qualities of stealth and infiltration. This is why the majority of Morat exploration units are composed of females, so in Morat language, “Ze Rat” (That one who kills in silence) is synonymous for “female warrior”. 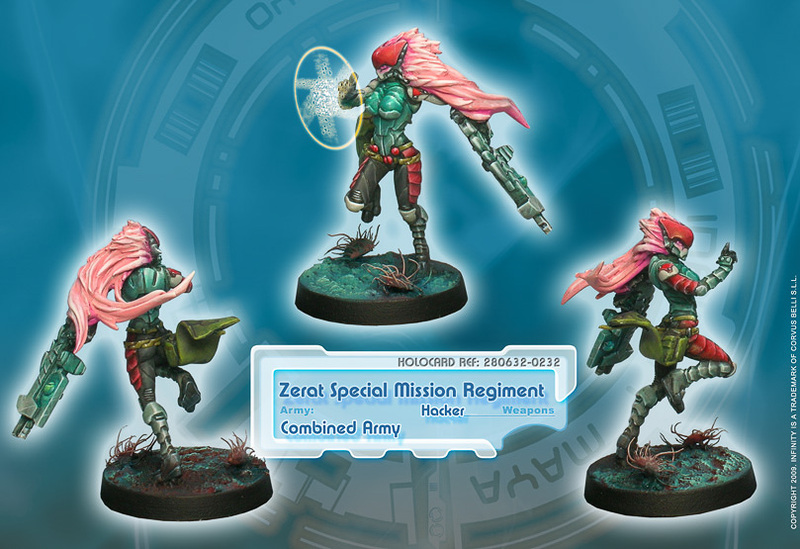 But, the Zerat Regiment’s mission is not only exploration: after all, they are still Morat troops, so they take a proactively aggressive combat attitude. As a result of this offensive focus, the Zerat precede the main body of the army in open and dispersed formation, providing a protective screen and executing attacks to harass, thwart or distract enemy forces. They also have a mission to eliminate or neutralize enemy officers, specialists or designated material, undermining the cohesion and stability of their command line. The Zerat are characterized by great tactical flexibility and their methods of ‘outpost warfare’: fighting in wooded and urban areas, covering flanks, or executing assaults through difficult terrain and natural defensive positions. 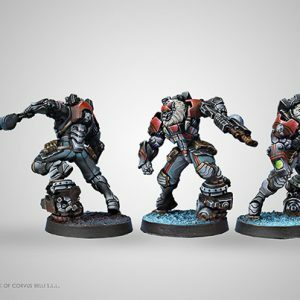 Their operative profile also includes ‘scout attacks’ in which they carry out aggressive actions – either solo or in small intervention groups – highlighting enemy positions through offensive fire. The term ‘female regiment’ must not be misunderstood. 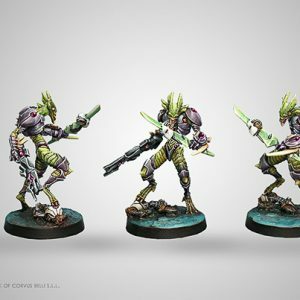 The Zerat are full Morat soldiers and as dangerous as their male comrades. In the brief time since their arrival, the regiment has a long list of deeds noted throughout the Paradiso front. The Zerat form a combat and infiltration unit that is completely unpredictable, well equipped, and absolutely merciless if provoked.